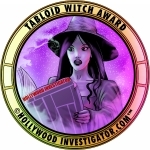 [HollywoodInvestigator.com] Even before Anthony Gregory spoke at the Peace Resource Center in Seaside, CA, on June 20th, his topic was controversial. 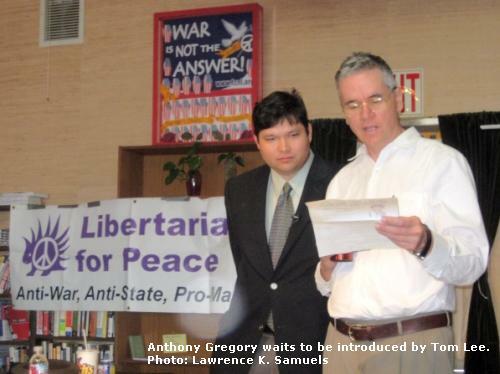 Libertarians for Peace, and the Libertarian Party of Monterey County, wanted to see whether the 27-member Peace Coalition of Monterey County truly supported peace -- or were only interested in having Democrats in charge of the Iraq and Afghanistan wars. Gregory's speech was entitled: "Is the New Boss the Same as the Old Boss: Has Obama Kept his Promises?" The title alarmed a number of peace activists who were worried that Gregory, a research analyst at the Independent Institute, would go on an "Obama Bashing" tirade. But despite that concern, the Peace Coalition voted to be the main sponsor for Gregory's speech. Promo flyers tried to downplay the controversy by asking: "Do all politicians promise reforms and then reform their promises, or is Obama the exception?" 6. His promise to repeal the Defense of Marriage Act. 3. More deeply involving the U.S. with the war against the Taliban in Pakistan. During the Q&A period, one Obama supporter said that, despite all of Obama's broken promises, the public should still support the President. His cited reasons were trivial, arguing that Obama has helped to heal American society, and has restored $50 million to the United Nations Population Fund. Gregory countered by arguing that the U.N. was an imperialist cadre, initially organized by Stalin, dictators, and Western powers to the detriment of smaller nations. Despite their fear of a harsh bashing of Obama, many local peace activists were impressed with Gregory's speech. 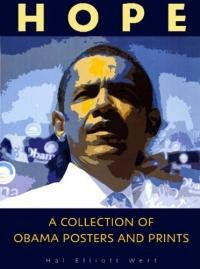 Most understood that Obama is no friend to civil liberties, international peace, or transparency. 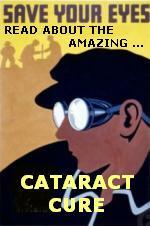 Buy YOUR collection of historical Obama posters at Amazon.com. 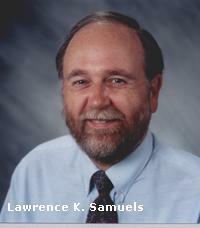 Lawrence K. Samuels is an editor and contributing author to Facets of Liberty: A Libertarian Primer.